Erin can go into a department store to find “a gift” and within minutes she will have navigated herself to the right area of the store and picked out a few items. Note that she doesn’t need to have a list or even an idea for what she’s looking for before she enters the store. That’s why what she does is so amazing. I don’t know about you, but if I don’t know what I’m looking for before I enter a department store, then I’m like a deer in headlights. All I see are endless possibilities and I quickly go into a state of panic. It’s just too overwhelming for me to try to shop unless I know exactly what I’m looking for before I enter the store. Based on feedback I’ve received from businesses, it sounds like a lot of people can relate to that feeling of panic and overwhelm when staring at their Google Analytics reports. It can be completely overwhelming! But it doesn’t have to be if you know what you’re looking for. Google Analytics is great, but it’s also very easy to waste a lot of time running reports, adding dimensions, adding segments, sorting columns, searching, filtering, and getting lost in the sea of data. Again, it’s like walking through a department store and getting sidetracked by all the shiny showcases. The trick is to avoid logging into Google Analytics until you first identify the question you’re trying to answer. I know that sounds simple, but if you follow that rule you’ll save yourself hours of wasted time. Trust me, I’ve personally sunk days into clicking around all the different reports when I didn’t first have a clear idea for what I was trying to find. What Questions Should You Be Asking Google Analytics? Google Analytics doesn’t care if you ask smart questions that lead to actionable insights, or dumb questions that just lead to pretty reports. Obviously the goal here is not to just make pretty reports… so we need to make sure we’re asking the right questions. Let’s use an example to see this in action. Will the following question lead to an actionable insight? What is my website bounce rate? Google Analytics will easily answer that question. In fact, one of the default reports right when you log in will show you the bounce rate across your entire website for the date range you select. Great, but now what? 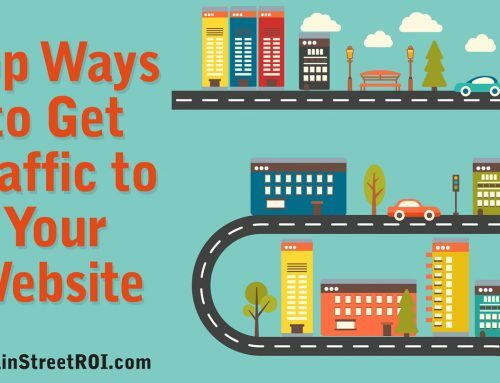 Knowing your website bounce rate is not actionable! In fact, I would argue this number is not even worth reviewing at all. 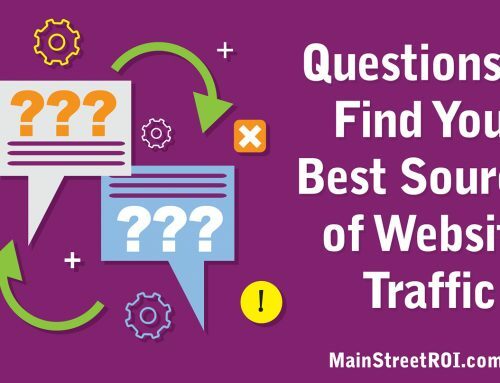 Is my bounce rate increasing or decreasing for organic (SEO) traffic? As you can see from the example above, one of the key differences between smart questions and dumb questions is whether or not you’re reviewing a trend. Asking Google Analytics for a single data point rarely leads to actionable insights. For example, what will you do differently once you know how many visitors came to your website last month? That single number doesn’t tell you much. However, if you ask Google Analytics to show you the trend of visitors from referral traffic over the past year, then that might open your eyes to new opportunities. Want More Help with Google Analytics? We’ve developed a step-by-step video course called Introduction to Google Analytics. When you go through the course, you’ll discover how to set up your Google Analytics account, which questions you should be asking, and how to quickly navigate the reports to find answers.